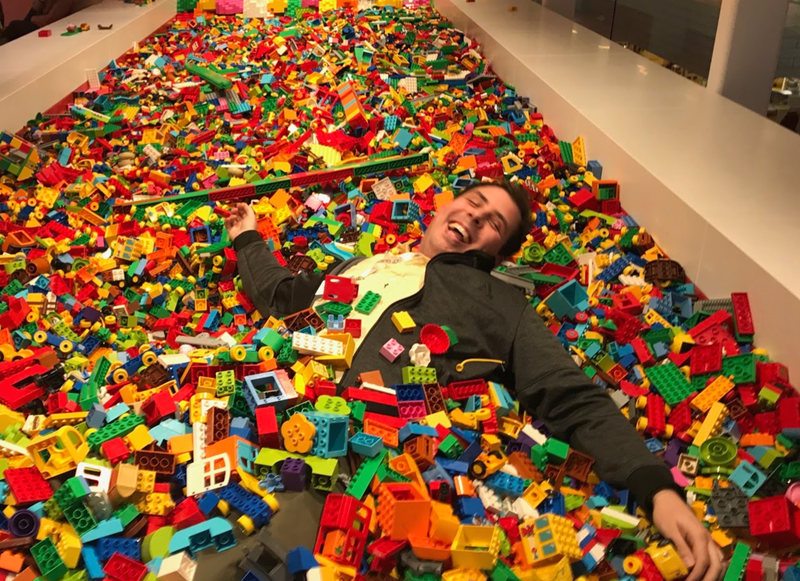 Creative Coding Conversations | Kreg Hanning — Wonderful Idea Co.
KH: I’m a graduate student at the Lifelong Kindergarten research group at the MIT Media Lab. My work centers on the development of new tools and activities to promote physical tinkering — that is, new ways to engage children in creative explorations through physical construction. 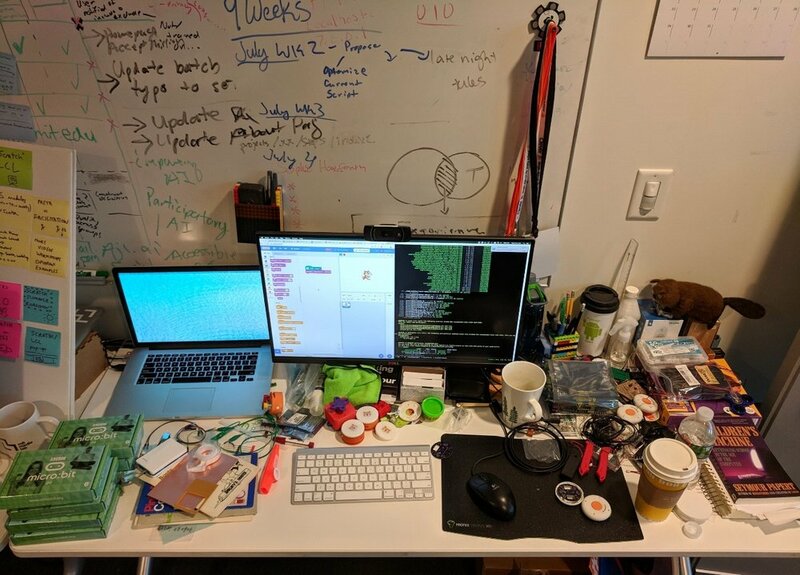 As a member of the Scratch Team, I’ve developed Scratch extensions that enable children to use Scratch for controlling hardware devices, accessing online data, and connecting with web services. Through Scratch extensions, I hope to provide children with new opportunities to think about and interact with the world around them. KH: I think of computing as a larger bucket, and creative coding is more specific. When I think about creative computing, of course Scratch comes to mind, but there are other examples of kids using computing power to think creatively. Using iMovie on an iPad is creative computing — it’s learning how to use a computer to explore your own creativity. Using iMovie, using stop motion or animation apps, using green screen apps or even cataloging things that they’re exploring. All of these uses are examples where they’re using a computer to be create something and to explore their interests. That’s creative computing. Creative computing is inviting to all; not everyone wants to be a coder. Creative coding includes a lot of the same thoughts — it’s about use coding and programming to explore things that you’re passionate about. I see so many programs where Week 2, for example, is labeled “algorithms.” Instead, it should be about taking something you’re really interested in, and using code to explore that idea. In creative coding, kids naturally discover these things, and later on they can attach a label to it. Take “loops” as an example: Kids think, “I want this to happen, but want it to happen more than once.” That’s the terminology I want them to use when they’re using loops. It’s terminology that fits within their own lives, that’s meaningful to them. You don’t hear kids on the playground talking about “conditionals” and “loops”. KH: There are lot of ways it can look like in practice! As an example, when I was doing recent playtest with ScratchBit [a prototype physical interface for Scratch, which aims to enable children to create more seamlessly across the physical and digital world], there was a girl in the workshop who told me that her dad teaches Scratch at an after school club, and she had “done” Scratch once at a library — like, “check, I’ve done it.” She had done a maze activity: they all did the same project with the same outcome, maybe with different sprites. She didn’t see it as a way to continue to explore her ideas or as a tool to use to express herself. But I noticed she was wearing a Tom Brady jersey, and thought that sports might be a way in. She took a football we had, and hollowed it out and put the ScratchBit inside it. She ended up making iterations of a game, and jumping with excitement about what she could do next. Now we were in her world — all about games — and still using code, but the focus was on the physical world, where she likes to play. This was a way for her to start to explore coding in a way that wasn’t just work for her. At the end of the playtest, she was jumping ideas about what she could build next with Scratch. This signifies what creative coding is all about: it’s not just about sitting down at a computer and making things on a screen. It’s about exploring things you care about. KH: Think about one thing that you care about and just dive in. Start to create something simple around that — whether it’s a story, music, or art, and look for other examples. What are other people doing and coding? You discover new things that you’re passionate about through seeing what others are doing. You might discover hidden passions of things you didn’t realize you cared about. Don’t feel like there’s some barrier preventing you from creating things and getting started. Some of us feel like there’s a skill and knowledge that we don’t have yet, but there’s no such thing as a barrier to entry to making. You can start small and build up. The complexity comes later.